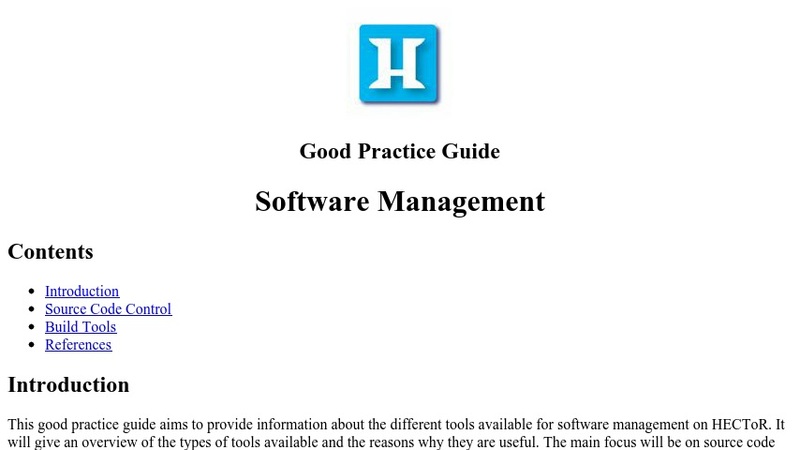 This guide aims to provide information about the different tools available for software management on HECToR. It provides an overview of the types of tools available and the reasons why they are useful. The main focus is on source code control and build systems. Details of the capabilities of specific tools available on HECToR are provided along with instructions on how to access them. Full details on how to use each of the tools are not provided as this is outside the scope of a good practice guide. However the guide provides links to relevant sources of learning materials and further information.